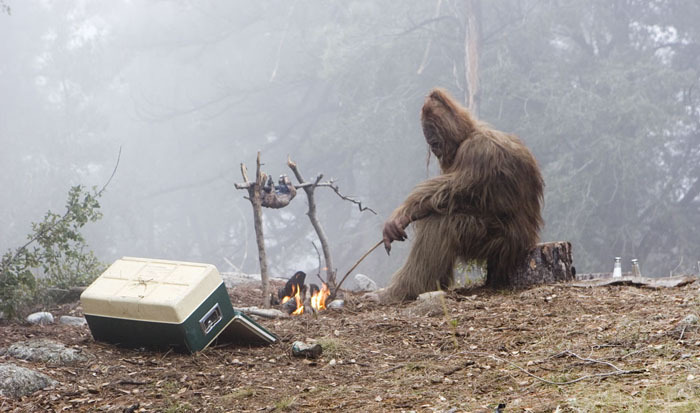 Did you know Bigfoot, or a Sasquatch, has the reported ability to pick up, carry and throw a full 50-gallon drum of diesel fuel (450 lbs), tip over a commercial trailer, and throw basketball-sized rocks in a high arc to discourage intruders? I am convinced that Bigfoot regularly participates in strongman training. To bigfoot, it may just be considered life in the big-wilderness, but to me it sounds like a certified strongman competitor. At End of Three Fitness, we are out to prove that running long distance isn’t reserved endurance athletes, mental toughness isn’t just for Navy SEALs and now we set out to prove strongman training isn’t just for gigantic human beings who like to [say this in an Arnold-like voice]…“lift things up and put them down”. We talk about strength training all the time at End of Three Fitness, but it is only because crossfitters who want to be better, runners and cyclists who want to be faster and random guy average Joe who wants to lose weight can all benefit from strength training. People train like bodybuilders, Olympic weightlifters and power lifters but not many chose to train like a strongman. Is there a reason only certain people like to train like a strongman? Are there any benefits to being strong like bigfoot? Functional, usable strength – Strongman training will work wonders for your functional strength. You can easily argue that a deadlift, squat and the olympic lifts are ‘functional’, and they are, to a point. But when we get into the real world there are no perfectly greased collars, well-chalked 20 kg bar with symmetrical weights added to each side. There are odd-objects and awkward grip placements in the real world. If you have ever moved furniture or taken groceries up a few flights of stairs, you know what I am talking about. And if you have ever needed to lift something in the wilderness…it is all heavy as crap and awkward; making you feel like your time in the gym is useless. So, yes, there are some benefits to strongman training. Grip Strength – Who doesn’t want to impress someone with their jar-opening skills? Guys, never fail your lady when she needs a hand, or ladies, show your man you do not need his skills! But more seriously, improving your grip strength can help with holding onto the bar longer whether you are doing cleans, kettlebell swings or pull-ups. Stronger Max Lifts – Yes, lifting the weird awkward stuff does make lifting traditional weights easier. The main reason is because in barbell training it is best to keep the bar close to your body for increased power and strength. You don’t have that option with odd-objects, and are forced away from the body which will help develop a stronger midline. Lifting in this way creates an extremely strong core, as it is always in use, thus helping you in every aspect of lifting. 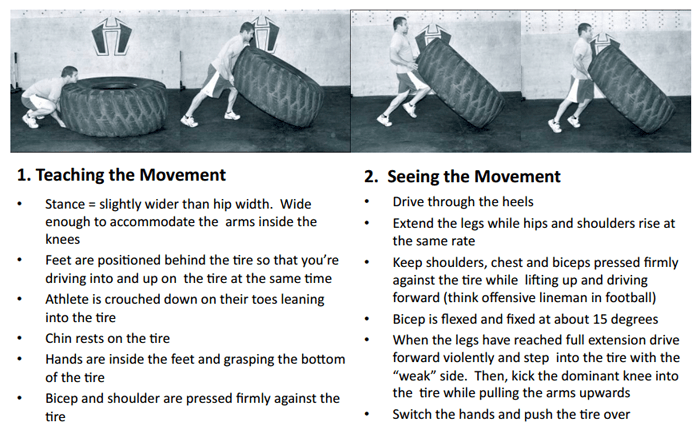 Increased Variety – Strongman training is just a fun tool to throw into your training toolbox. It is a new stimuli to keep your muscles guessing. 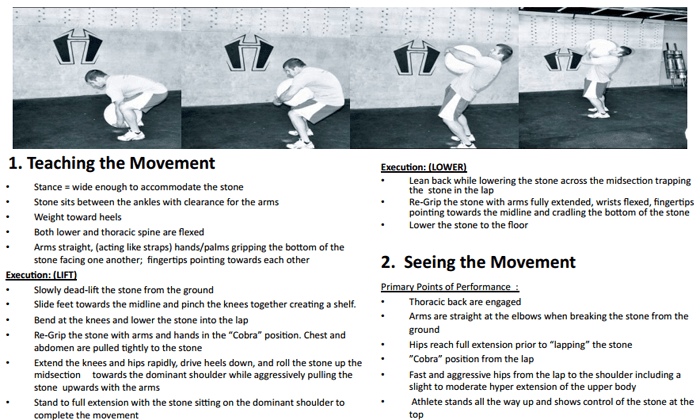 Practicing the less efficient movements will make the efficient movements easier. Bodybuilding-like benefits – Oh, and it turns out strongman lifting can make you bigger, don’t worry ladies, your bodies operate in a different way…But for the guys! You may be of the mindset that the only way to get bigger is to lift like a bodybuilder, but that isn’t really true. So for this one I point you to a study that proves strongman training elicits an acute endocrine response similar to recognized hypertrophic protocols when equated for duration and exercise intensity, see here. Long story short…strongman training can make your muscles grow…Duh! Look at bigfoot! So, pick a reason and let’s go! Alright, I am not suggesting you quit what you are doing to purse the quest that is strongman (unless that’s what you want to do). I am just saying try out a strongman lift or odd-object lift every once in a while. Check out a this video of me a few years ago, I got bored in my garage and wanted to try a strongman/functional workout outside the norm, so I did made some stuff up. The are many different strongman lifts and events you could try from farmer’s carry to the viper press, but I want to focus on three lifts that you could actually try out. Generally, the biggest limiting factor in strongman lifting is the equipment. It can be expensive or hard to find, but with these three movements, you can learn them pretty quickly and even find them pretty easily. 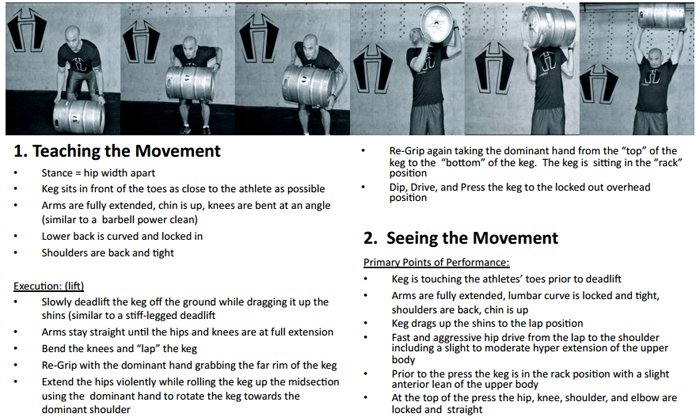 A great resource can be found here, this is a great document to learn more about adding strongman lifts to your training and is where I got the pictures you see below. Second, where to get it : Certain tire repair shops and stores have a plethora of these things lying around, and it actually costs them to get rid of it. If you Google your local area you can probably find someone who will be willing to let you pick one up; craigslist is great for this too. Second, where to get it: This is a DIY project planned for End of Three Fitness in 2014, but until then, Hybird Athletics has great molds that make this simple with easy-to-follow YouTube Instuctions. Second, where to get it: You can get a keg at any local liquor store that sells/rents kegs. Typically, the deposit is around $50 for the keg shell, so you can get a keg and not return it or simply ask them to let you buy one. Filling it with water or sand is pretty easy, but don’t overdo it or you won’t be able to lift the thing. How Strong do I Need to be for Strongman-style Lifts? Now, for the quick disclaimer. Perfecting barbell movements is very challenging, so perfecting an odd-object lift can be extremely challenging. Odd-objects can often mean odd body movements and serious injury if you are not careful. Learn the basics, learn with lighter objects than you think necessary then move up slowly. So, build your base then go have some odd-object-sasquatch-like lifting fun. Strongman training, or rather, training to be strong like bigfoot can have numerous benefits when added to your current training program. Shake things up and change things around, but most importantly never quit having fun with your training!